The 7th IFSV Domefest will take place in Galaxcity (Tokyo) on March 5-7, 2017. 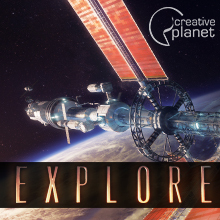 The event will embrace fulldome short films, high quality fulldome films with science visualization, and presentations on fulldome movie production. Join the International Festival of Science Visualization/IFSV to become part of immersive media society, and explore the possibilities of future science films. The 7th IFSV Domefest will take place in Galaxcity (Tokyo) on March 5-7, 2017. 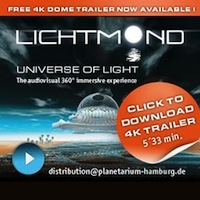 The event will embrace fulldome short films, high quality fulldome films with science visualization, and presentations on fulldome movie production. 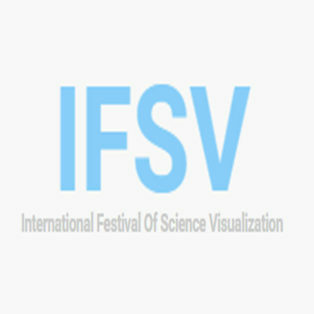 Join the International Festival of Science Visualization/IFSV to become part of immersive media society, and explore the possibilities of future science films.